Chele Cooke recalls always having books around her while growing up, but she truly realised her love of reading as a teenager, when she discovered the Harry Potter books. Her taste in books is varied, having grown from her initial interest in fantasy – ‘I’ll give anything a try at least once,’ she tells me. Cooke began writing through play-by-post role plays, which she says was akin to ‘learning to walk before I ran’, and being able to submerge herself in another world helped with her own writing. This, coupled with a degree in creative writing, was the catalyst that launched her career as an author. Dead and Buryd, was released in 2013. Dead and Buryd takes place on an alien planet plagued by harsh seasons; searing hot summers that give way to inhospitable, freezing winters. The planet’s natives, the Veniche have found themselves the effective slaves of their technologically advanced invaders, the Adveni. Any Veniche who steps out of line is liable for incarceration within the walls of the Adveni’s impenetrable prison, Lyndbury. Cooke introduces the reader to Georgianna Lennox, a local medic, who works alongside the Adveni forces, treating those injured within the walls of the prison as a way of serving her lost people. When Georgianna’s friendship with a group of rebels – the Belsa – risks putting her own freedom at stake, she is faced with a difficult decision – what will she choose to put first, her family or the freedom of her people? The first two chapters of the book form a sort of prologue to the story, setting the scene and introducing us to characters that come into play later on in the novel. This introduction to the novel works really well, serving to spark questions in the reader’s mind and piquing their curiosity. The history of the planet and the natives is quickly skimmed over in these opening chapters, and is elaborated upon at points throughout the novel. Through this gradual method of unravelling, Cooke lets the history of her world develop in the reader’s imagination, revealing little snippets of the story piece by piece. The novel’s setting, an unfamiliar planet occupied by inhuman, almost robotic invaders, really appealed to me. Not only was the way in which Cooke portrays the setting particularly masterful – her descriptions allow your mind’s eye to create an almost perfect picture – but the harsh summers and harsher winters made me think of an exaggerated version of our own world. It almost seemed plausible to me that Cooke’s dystopia could be a future version of Earth, a world where the natural environment has been irreversibly damaged to such an extent that people are forced to live in tunnels to escape the searing heat, unable to spend even a short amount of time in the sun, in the heat of the day without fear of burning. Needless to say I was intrigued enough by the book from the onset that I didn’t want to put it down. The Adveni, on the other hand, are clinical in the very sense of the word. Cooke creates an army of invaders akin to the Nazi’s Master Race. The allegiance that the Adveni have to their group goes beyond the heartfelt commitment of the Veniche; they have an ingrained herd mentality, going about their lives in favour of the greater good. The Adveni mating ritual is an example of survival of the fittest at its most horrifying – a greater force deliberately manipulating breeding patterns to create an indestructible army. Tactics frighteningly similar to those used by the Nazi’s during World War II. The Adveni do not have that one person who they feel they cannot live without; rather, they are matched up with the person best suited to their genetic makeup. For the Adveni, love exists only for the greater collective good. This passage really stood out to me as a perfect portrayal of the reasoning everyone goes through when trying to behave casually in a risky situation. It’s a feeling so many people will be familiar with, as though your mind is playing tricks on you, feeding you morsels of hope before making you doubt yourself. I found Georgianna to be, on the whole, an incredibly genuine and relatable character. In Georgianna, Cooke has created a fantastically well-rounded vessel to convey her story. 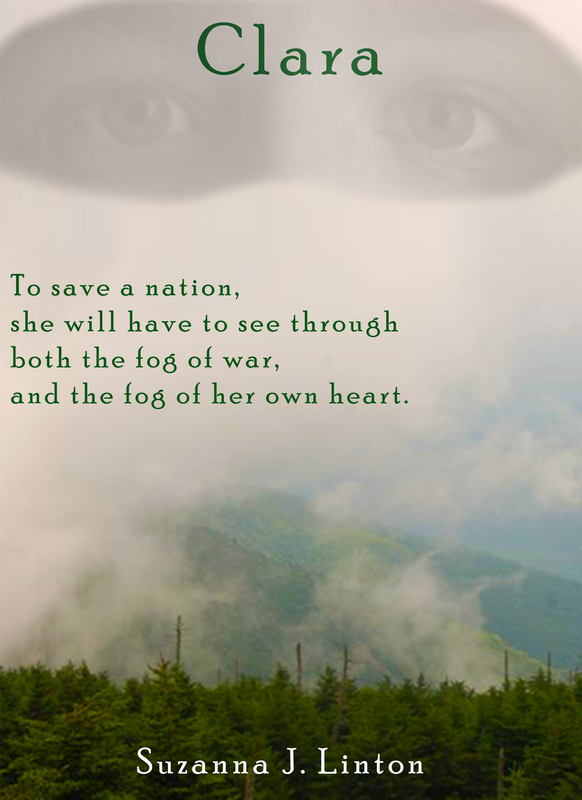 The reader learns about the planet, the people, and the struggle almost exclusively through Georgianna, but they also get to know the heroine on a very personal level. In time it becomes apparent just how normal Georgianna is. Despite her situation, her allegiance with the rebels, the things that she does, and even the fact that she is from another world, there is an aspect of her personality that a lot of people can relate to. Georgianna really is just so likeable and funny, despite her hard exterior. Forming a relationship with the heroine of the story like this really added to my enjoyment of the novel. Overall, I thoroughly enjoyed reading Cooke’s work. The story has some fantastic plot twists and enough unanswered questions to have me eagerly anticipating the next in the series. Cooke’s writing style is smooth and fluid, maintaining a unity throughout the flow of the story. I am not an enormous Sci-Fi reader, and I can be easily put off by the random and incessant introduction of unnecessarily complicated devices, but I found Cooke to be very accessible. While new terminology is introduced to the reader, it is done so easily, and with explanation, so as to avoid over complication. 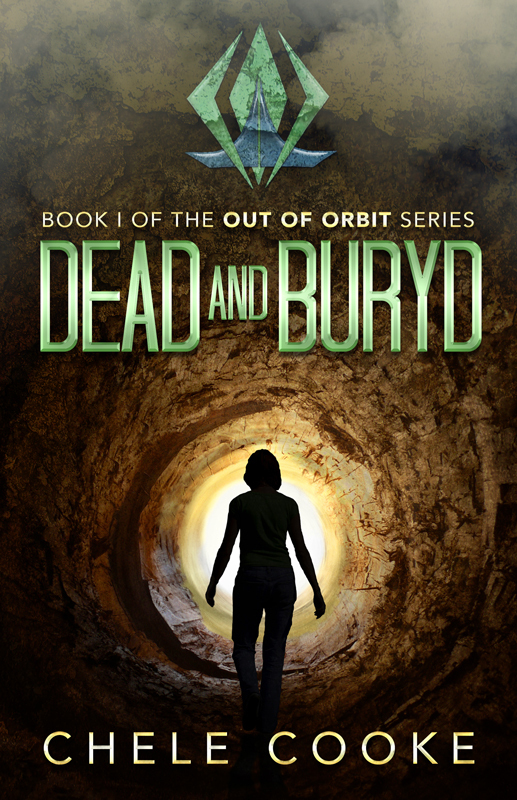 Dead and Buryd gets a resounding ‘would recommend’ from me. I am thankful to Chele Cooke for providing me with a free review copy of her work, and introducing me to the Out of Orbit series. I bought this book while I was at university for a class I was taking on utopias and dystopias, but I was somewhat ambitious with the amount I expected to read, and invariably this one was left untouched, until now. Written in 1966, and set in 1999 Make Room Make Room is a dystopian science fiction novel, set in New York City, which follows the lives of several characters, exploring the potential repercussions that unchecked population growth could have on humanity. Set in a future where New York has a population of 35 Million, the earth itself has a population of 7 million, and humanity is more or less on the brink of collapse. The city is overcome by overcrowding, resource shortages, crumbling infrastructure, disease, crime and poverty. The welfare state is no longer able to support the growing population, fresh food is a distant memory, water is rationed, social housing has been extended to include sewers and in times of crisis only the young are given medical care. Despite all this, the population of New York city is divided over the issue of birth control. 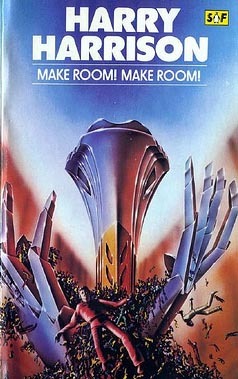 Harrison wrote ‘Make Room Make Room’ as a social commentary, with the underlying theme of the novel being the importance of sustainable development and population control. The bleak world Harrison portrays, is that of future generations left to deal with the wasteland left behind once all the natural resources are used up, and the earth is no longer able to sustain itself. The book opens with a dedication to Harrison’s two children Todd and Moira – ‘For your sakes, children, I hope this proves to be a work of fiction’. With the Earth’s current population having just reached 7 billion the book has proved to be a work of fiction – so far. ‘Make Room Make Room’ is a terrifying reminder of what could be waiting for our children real efforts are not made to move towards sustainable growth, and population control. The Book really is truly excellent. Harrison is able to paint a bleak, desperate and depressing view of New York City, but without going off into long tiresome descriptions. Through the eyes of the characters that Harrison creates the reader is able to view the city, and get a real feel for atmosphere of this dismal future, which may not be too far away. The reader is transported into a place where the streets are lined with filth, the poor huddle together in stairwells and burnt out cars, and riots caused by food and water shortages are quickly becoming the norm. Through his choice of characters Harrison was able to portray the problems faced by the wretched citizens of New York through several different perspectives, while ultimately keeping the underlying issues same: Billy Chung, the poverty stricken boy who is so desperate to escape he will do anything; Shirl, a girl whose only hope of escaping reality is her body; Andy, a police officer who works his fingers to the bone for literally nothing; and Sol, the pensioner who remembers the time before, but can do nothing to change the course of history. All the characters are helpless, helpless to undo the damage caused by those who came before. ‘Make Room Make Room’ really is an excellent, thought provoking book. I have explored a few dystopian novels and this is the first one which really hit home for me. Despite having written this book almost 50 years ago, the issues Harrison explores are incredibly topical, and while the world Harrison painted did not come to light at the turn of the century, there is every possibility that it could still be waiting just out of sight.